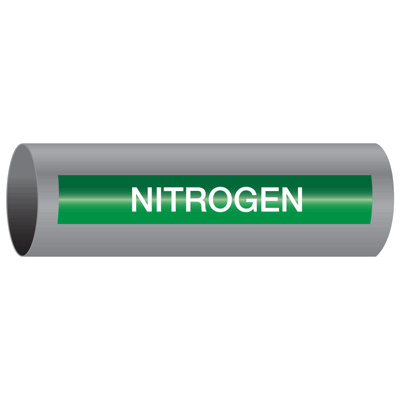 Nitrogen can be a dangerous liquid whether in gas or liquid form. 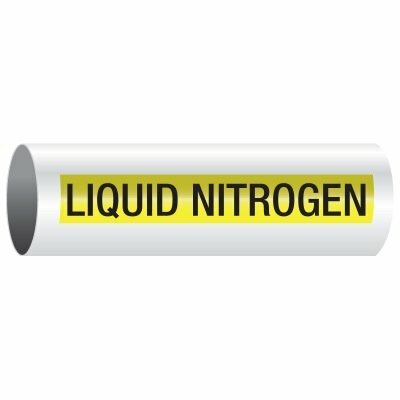 As a gas it can cause asphyxiation when rapidly released into an enclosed area, while as a liquid it can cause severe frostbite, almost instantly in some cases. 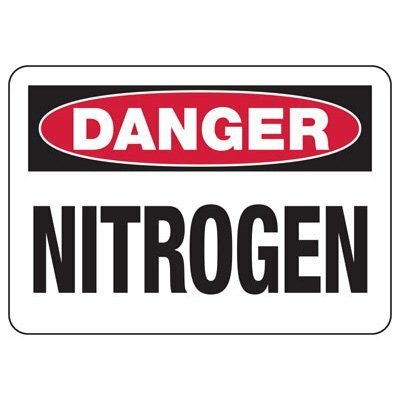 Because of this, it is imperative to post Nitrogen signs informing people regarding the presence of stored nitrogen whenever applicable. 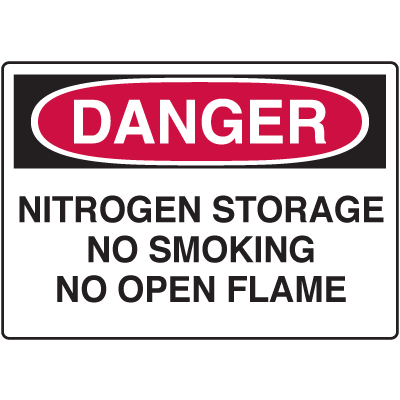 With these signs in place, you can be assured that the people working in the area are properly informed of the risks and dangers of the environment they are in. 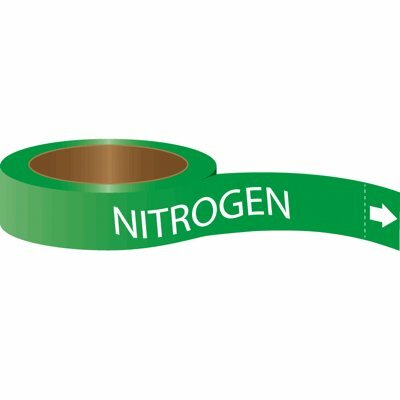 These Danger signs can also tell them what to avoid to prevent more problems and possible repercussions that may result from certain actions due to the presence of this substance. 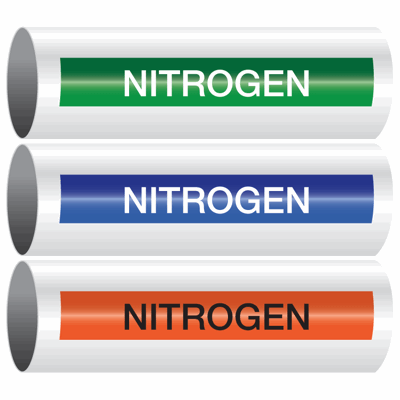 Nitrogen is not harmful in small quantities; however, most industrial settings usually require large amounts of it to be used. 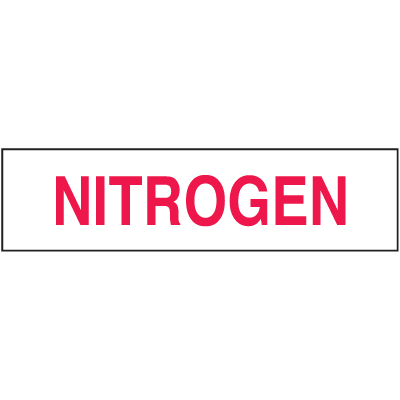 Keep your employees and visitors safe from exposure by putting up Nitrogen signs in areas where it is being used as well as being stored. 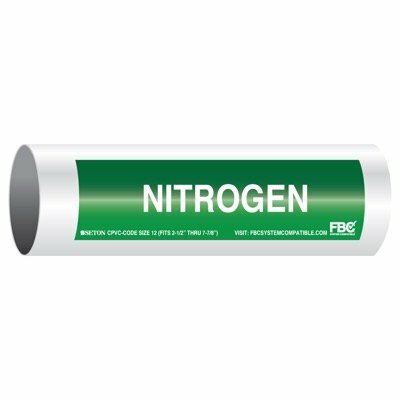 This not only lets people take the proper precautions to help keep them safe from harm, but also allows them to administer the right kind of first aid treatment needed when someone is exposed to this substance. 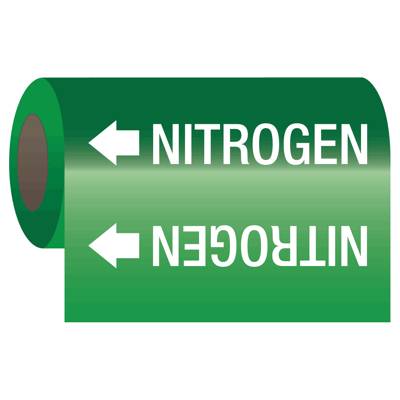 We have a variety of signs for you to choose from and these include some with graphics for easier understanding. 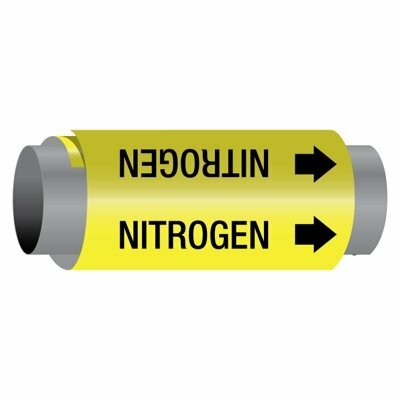 There are also signs that carry more specific text warning people of restrictions in the area due to the presence of nitrogen. 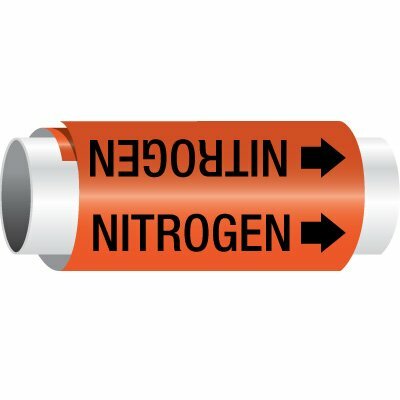 Using Nitrogen signs properly may take a little forethought, but shouldn’t be difficult to figure out by any stretch of the imagination. Basically, it should be placed in highly visible areas where it can’t be blocked from the line of sight of anyone who needs to see it. It also helps if there is constant illumination in the area where these are posted so that the signs can be seen even at night. 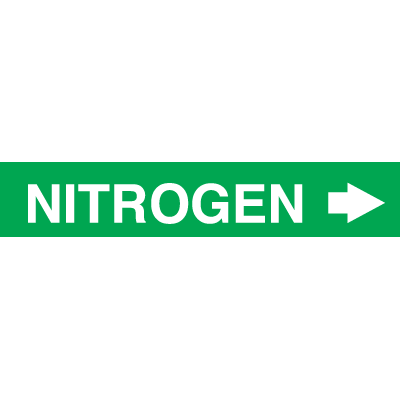 Finally, keep these signs away from high amounts of concentrated nitrogen as this may damage the sign quickly, forcing you to replace it sooner than expected. 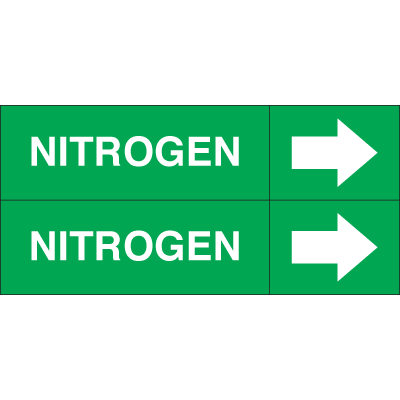 That said, start putting up these signs (if you haven’t already) and make your workplace safer today.